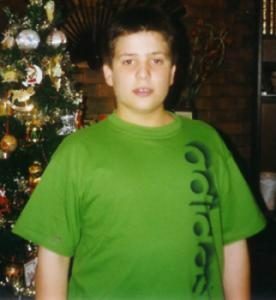 I started my journey into fitness as “The Fat Kid”. In fact, I was so good at being the fat kid that a teacher once told me ‘on a scale of 1 to 10 in useless lumps I was an 11!’ Combine that with the alias of “Pork Chop” and being so dorky that your best friend was Nintendo makes for one loser kid. In primary school, I HATED (hated) lunch time. One hour of walking around the school as a loner. I never understood why I couldn’t just eat my lunch and go home early. As the dorky-loser kid who doesn’t fit in you have choices. You can either be picked on and bullied – or, you can smash a kids head against a pole for calling you fat. So I wasn’t ‘bullied’. But I was a loner. A fat kid who never could understand why the other kids didn’t like me. I remember the angst in my mother’s eyes one day when I ran home from school crying. It’s like I could see her thinking… “Why doesn’t my boy fit in? I wish I could make his pain go away”. It would be many, many years before I figured out what was wrong with me and why I didn’t fit in. It was actually very simple. I wasn’t like any of the other kids at school, not like them at all. They accepted the status quo. They did everything they could to be the same. I did everything I could to be different. I was direct, blunt, knew what I wanted and the idea of saying what you were ‘supposed to say’ to get along with people just wasn’t me. Plus rumour had it that I was one of the ‘dumb kids’. I was The Fat Kid up until I turned 15. That’s when I started to hit the weights. I went from a fat kid to an in-shape adolescent but still had the communication skills of a geek. Weight training taught me the value of goal setting and that if you believe in yourself, you can achieve anything you set your mind to! Just kidding … but did you think you were reading something out of Disney for a moment?! The gym did teach me about goal setting, but what it gave me above all else was a place I could hang out andtotally be myself. In fact, my socially awkward, introverted personality could be left alone with the occasional encouraging comment, ‘hey you work really hard’, or ‘good to see a young guy so committed’. I was at peace at the gym, my ultimate happy place. So everyday after high school I would catch the 355 bus to my gym and train. School holidays meant twice a day training. I had no idea what I was actually doing, but that wasn’t the point. The point was I was at the gym and had people around me who were like me. And really, that’s what the gym has always been for me. A happy and sacred place where hard work gets rewarded. Not your outfit, your social standing, or how good looking you are, but busting hard work and grit. I went from The Fat Kid to the The Skinny Kid. Some guys go to the gym to get big, I went to the gym to get lean. 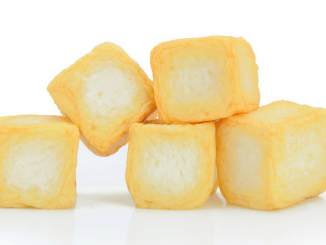 Again, much like my training at the time, my nutrition plan lacked any real wisdom as I plowed through hundreds of Bodybuilding mags, convinced that it was a matter of “trial and error”. I tried every half-baked approach to get leaner and all of them left me frustrated (not to mention hungry). In 2004 I met a trainer who convinced me to compete. This was probably the worst and best advice I received and for the same reasons. I did everything you could possibly do wrong and placed dead last in my first bodybuilding competition. On stage I was 68 kilos. To give you you an idea of how ridiculous this weight was for my body-frame, I put on 14 kilos in 3 days after the comp. Granted, much of it was fluid and my muscles re-fueling much needed glycogen. I starved to get up on stage and my grey-hound looking physique was rewarded with the wooden-spoon. When I say it was also the best advice, if I hadn’t had this experience, I wouldn’t have the empathy I have today for newbie competitors following impractical and resultless plans. Convinced that these efforts weren’t representative of what I actually looked liked (because ‘gainz bro’) I competed again in 2005. I looked significantly better and even scored my first of many second place trophies. After I stepped off stage in 2005, I spent the following year living as a wannabe bodybuilder. To those not familiar with the ‘wannabe bodybuilding lifestyle’ this means obsessing over how you look, taking all pleasure away from food and having huge amounts of guilt for not sticking to your diet. But “broz” got me convinced that I still got to make “gainz”. So I bulked up to 97 kilos. This was all while I was still dealing with the identity of a fat kid. I wasn’t in a good space. By chance, INBA Natural Mr. Olympia, Warren Clampit was at my gym doing a taste test for a supplement company. I saw him and got inspired. I asked him if he would help me compete in 2007. So I competed twice in 2007, receiving another two second place trophies. This time I thought I had the post-comp thing figured out. Wrong. I spent much of 2007 obsessing over my body and my food. I probably smiled a total of 12 times over the 6 months following the comp. That’s when good fortune lead me to studying Neuro-Linguistic Programming (NLP) and becoming a student of Dr John Demartini. With the guidance of John and the tools of NLP, I started to coach myself out of the dark misery that was food and body obsession and create a new identity for myself. I wouldn’t be writing this now if I hadn’t succeeded. This is when I really started to understand “how to” harness the power of mind. One by one, I started to change my beliefs, ideals and attitudes around food and my relationship with my body. This involved rewriting everything I knew and creating new norms. It took me many thousands of hours of study and self reflection. The local gym I was working at began running Strongman competitions. I was too scared to compete in the first one they ran and convinced myself that I couldn’t. Eventually, the gym’s owner, George Mariolis convinced me to compete in the under 90 kilo class. I competed and dominated all day…. Until the last event. To win, I had to throw a 100 kilo stone over a horizontal pole a total of 10 times. So here I go, I pick it up for the 10th time with 5 seconds left on the clock and I hit the pole and it rolls the other way. I lost by half a point that day. Half a point. Just like I lost the previous bodybuilding competition, half a point. See, God of War III is a game about redemption. You spend the first two games searching for answers and being frustrated and the third game getting your revenge by killing the Gods. Of course, the ultimate God for all of life’s disappointments being Zeus. My Zeus was being second place and it had to die a slow, painful death. November 2011. Melbourne’s Strongest Man. The stage was set. The concrete sealed. The 200 kilo tires polished. The chalk bucket refilled. I woke up that morning with my game face on. I was calm and centred ready for action. (I mean Mark, yes that is a Simpsons reference. You’re welcome). What do you mean second? Like they even had a chance, 16 seconds! No, no, no. Not SECOND!! Event 5, Stones 75kilo to 130kilo. The tie breaker. I had to get all 5 stones to win and seal my win. I was ahead on points by just 1. If Sim (my competition for the day) hit all 5 stones and I didn’t, this could be my 5th second place trophy. I was not about to let that happen. So I breathed in deep. After I lifted that final stone, I didn’t actually realise I had won. I was so happy that day! The “second-place-oh-so-close-comeback-next-year” curse had been lifted. In the process I worked as a guest writer for Muscle Mag; was published on T-Nation; had a client feature in WHO magazine; taught and educated trainers at the Australian Institute of Fitness; developed a membership site (The Alpha Body); wrote two eBooks (The Truth About Supplements and Eat Your Way To Abs); started a podcast show (Maximus Mark Radio) interviewing pioneers in the field of training, nutrition and health; featured (twice) on Maxs Muscle T.V. ; presented at the 21 Convention; and was interviewed on my business success on the Business Blueprint Channel. All of this wouldn’t have been possible if I didn’t prove my worth as a trainer by actually delivering high level results. 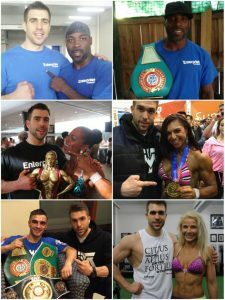 I have coached some very inspiring and amazing people, including four-time Ms Australia and Arnold Classic Winner, Janet Kane; Commonwealth Games Gold Medalist and Bantamweight Australian Champion, Andrew Moloney; former Welterweight Australian Champion Fred Tukes; as well as countless champion figure competitors at regional, state, national and international levels. At this point, I have lost count of the physique titles and champions I have coached. It’s a lot. By doing so I was awarded my PICP (Poliquin International Certification Program) level 5 in 2014. The PICP level 5 is an honour only few strength coaches and trainers achieve as the only way to earn it is to help cliental achieve world-class results (like winning a gold medal on an international stage). It’s an honour that very few coaches around the world have earned and I am very proud to be one of them. So I officially opened my studio in March of 2013. People often think Enterprise Fitness in Richmond has been opened for 10 years due to the structure and success. Well in truth, it has been open for 10 years. I have held the vision in my head for at least that long. I don’t have a story about having to struggle to pay trainers or rent, or how I had to sell my Playstation collection to buy a squat rack. I planned for its success and from the day we opened our doors there has been steady business growth. Today we operate with a team of 14 (including myself) and serve over 250 one-hour personal training sessions a week. I did this all with no university education, no angel investor backing me or being groomed for business by a rich, wise and business savvy family member. I did it on my own and found my own way (something which no one can ever take away from me). 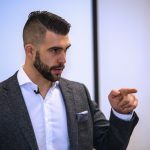 Excuse me if I sound arrogant, but I am damn proud of my journey… I mean what were the chances I would be as good as I am as a trainer and business owner? It’s not that I lack humility, it’s that I am very aware of the personal and professional struggle it takes to achieve being at the top of an industry. My crowning jewel in the journey is not the money, the titles, the champions, the studio or the people I’ve helped, it’s the person I have become in the process. I am more self aware now than I have ever been and I honestly and truly believe physical training and self reflection are the two best tools one can use for personal growth… My life is an example of that. In late 2015, I wanted to up the ante once more by launching my personal and professional development program for trainers. My Wolfpack Mentoring program was born, selling out in just 5 days. 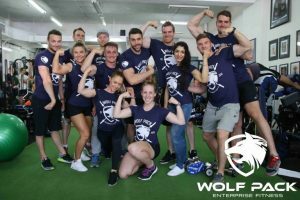 This program is the combination of all the hard hitting personal and professional lessons I have learnt over the years from being the loser fat kid to the trainer of champions, to now, champion of trainers. Check out the interview I did on the Business Blueprint channel by leaving your name and details in the box below (or on the home page). It’s jam packed with more gems about my journey.